Tis the season to be jolly - and to celebrate Christmas with Barney and his friends! The holiday fun begins as Barney leads a merry journey to grandmother's attic to search for a shiny gold star for the Christmas tree. 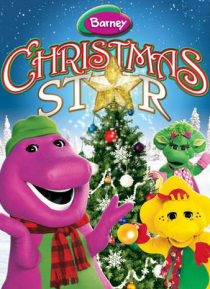 After discovering lots of holiday treasures such as little drummer boys and "The Night Before Christmas" poem, Barney places the Christmas Star atop the tree in a holiday celebratio… n Barney fans with cherish!